379 Songs and Hymns. Arranged by Various. 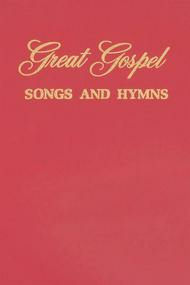 Benson Hymnals. Hymns. Hymnal. With vocal score / shape note notation and lyrics. Published by Brentwood-Benson Music Publishing (BN.2598648307). Songs include: It Keeps Gettin' Better - 'Tis So Sweet To Trust In Jesus - A Beautiful Life - A Better Life - A Child Of The King - A Hill Called Mount Calvary - Abide With Me - Above Every Name - After - After The Sunrise - All God's Children - All Hail The Power - Alleluia - Almost Persuaded - Am I A Soldier Of The Cross? - Amazing Grace - Amazing Grace, How Can It Be? - America - America The Beautiful - Are You Washed In The Blood? - At Calvary - At The Cross - Away In A Manger - Battle Hymn Of The Republic - Beautiful Star OF Bethlehem - Because He Lives - Blessed Assurance - Blessed Be The Name - Blessed Jesus - Blessed Jesus Loves You Too - Blest Be The Tie - Born To Be Crucified - Brighten The Corner Where You Are - Bring Them In - Bringing In The Sheaves - Burdens Are Lifted At Calvary - Calm Assurance - Christ Arose - Christ Receiveth Sinful Man - Close To Thee - Close To Thee - Come And Dine - Come On Home - Come Unto Me - Come, Holy Spirit - Come, Holy Spirit - Come, Thou Fount - Coming Again - Contented - Count Your Blessings - Did You Think To Pray - Do You Know My Jesus? - Does Jesus Care? - Don't Turn Around To The Things You Left Behind - Each Step Of The Way - Ev'rybody Will Be Happy Over There - Even So, Lord Jesus, Come - Faith Is Victory - Faith Of Our Fathers - Far Above The Starry Sky - Farther Along - Five Rows Back - Follow, I Will Follow Thee - Footsteps Of Jesus - For God So Loved The World - Forever With Jesus - Gentle Shepherd - Get All Excited - Getting Use To The Family Of God - Give Me A Double Portion - Give Me Oil In My Lamp - Glory To His Name - Go To Jesus - God Be With You - God Leads Us Along - God Of Our Fathers - God Will Take Care Of You - God's Choir - God's Final Call - Going Home - Got Any Rivers? - Great Is Thy Faithfulness - Hallelujah For The Cross - Hallelujah, What A Savior - Hand In Hand With Jesus - Happiness - Happiness Is The Lord - Happy Day - Hark, The Herald Angels Sing - Have Thine Own Way, Lord - He Hideth My Soul - He Is Coming Soon! - He Is Mine And I Am His - He Keeps Me Singing - He Lives - He Ransomed Me - He Set Me Free - He Touched Me - He Whispers Sweet Peace To Me - He'll Break Through The Blue - He'll Understand And Say "Well Done" - He's Still The King Of Kings - He's The One! - He's The Savior Of My Soul - Hear Our Prayer, O Lord - Heav. Amazing Grace, How Can It Be? He'll Understand And Say "Well Done"
How Can I Help But Sing! Ring The Bells Of Heaven! Why Should I Worry Or Fret? It looks like a nice collection. I have not used it as I was looking for the title: Why Worry when you can Pray? and, thought I thought it was in there, it is not so it will be a part of my hymnal collection for now. I was very pleased with the hymnal. 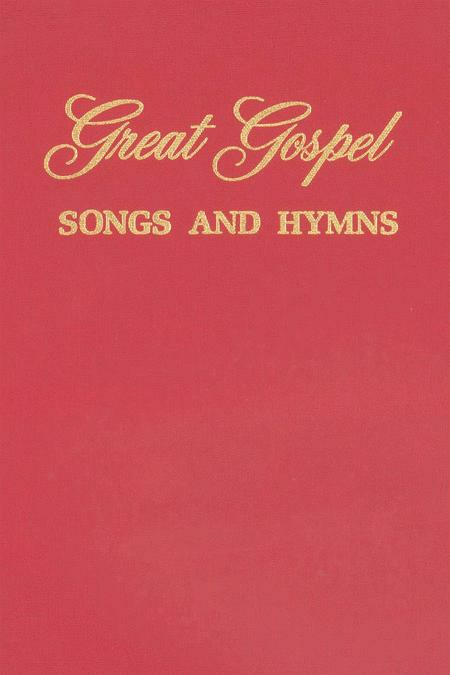 It had a variety of good hymns in it. cost was more than the book and I don't want to spend any more money.